My initial impression of New Orleans was not favorable. I first visited the city in 2003 while attending a conference, and I joined a group of guys for stroll down Bourbon St. It was crowded, loud, and the asphalt held the stench of decades of debauchery. Along the way, I saw a neighborhood Spider-man who was being a little too friendly with female passers-by, scantily-clad women inviting me to enter strip clubs, and more bare breasts than a late night Cinemax movie. Even worse, the hotel concierge sent us to a subpar restaurant. I left New Orleans with a bad taste in my mouth (literally), and chalked up the city as just another overrated tourist trap. Fast forward to 2005. Hurricane Katrina devastated the city and hordes of New Orleans residents migrated to Houston to escape the storm and start a new life. I volunteered to help at shelters and talked to many people about their beloved city. They told me about the real New Orleans – the history, the culture, the music, the food, the people – that most tourists don’t get to see. After listening to their stories, I realized I was wrong about New Orleans. The city was much more than a tourist trap. It was an American treasure that I needed to explore more fully. Ironically, it was another conference that provided the opportunity to return to the city. 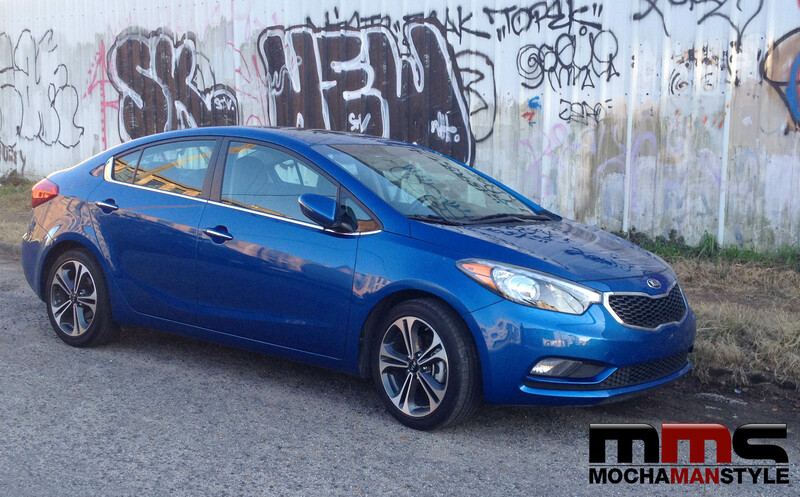 In a strange twist of fate, I wound up driving a Kia Forte EX. I must admit that Kia was never at the top my list of car brands. I dismissed the brand as easily as I had dismissed New Orleans. I didn’t think Kia would last more than a couple of years against strong competitors such as Honda and Toyota. Again, was I wrong. 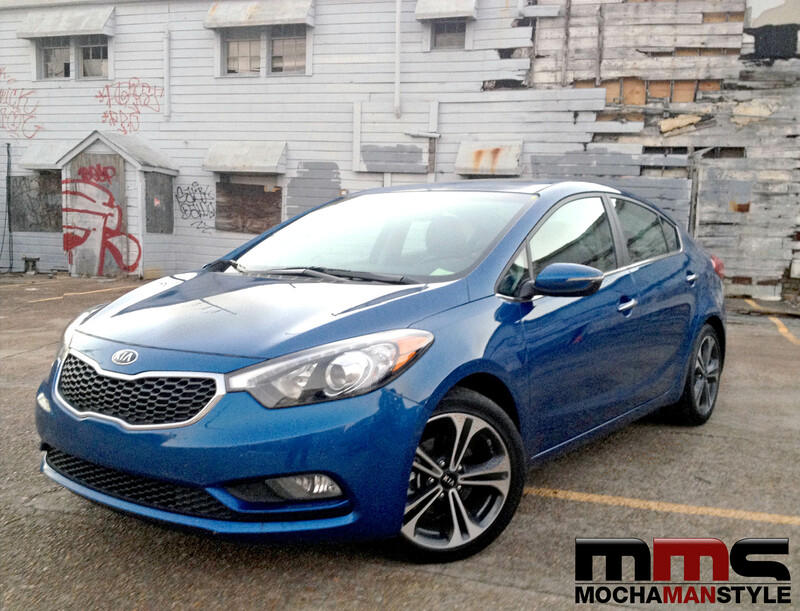 Kia has not only lasted, but they’ve built a car that has surpassed all rivals in the compact sedan division. I was impressed by the Forte’s styling. With its large multi-sided grille, 17″ alloy wheels, and sleek lines. I was equally impressed by car’s comfortable, upscale-looking interior which featured push button start, backup camera, heated and ventilated seats, and dual zone climate controls. I also liked the FlexSteer adjustable system that allowed me to tailor the feel to my liking. I kept it on Sport mode. My favorite thing was UVO infotainment system. It has an intuitive touchscreen and is easier to use than some systems on more upscale cars. I punched my coordinates into the GPS, tuned into the Real Jazz station on the satellite radio, and headed west on I-10. Along the way, I stopped at The Best Stop Supermarket in Scott, LA to get some boudin and cracklins and CC’s Coffee House in Baton Rouge for a quick caffeine fix (the CC stands for Community Coffee – the best coffee in the country). Five hours later, I arrived at my hotel, the JW Marriott on Canal Street, handed the key fob to the valet, and walked down Bourbon Street to meet some friends at Pat O’Brien’s. The next day, after completing my conference obligations, I headed to the French Quarter to have some beignets and Cafe Au Lait at Cafe Du Monde. While I ate, I listened to a saxophonist play his horn on the sidewalk. The music was lively and drew a people into the cafe liked a pied piper. 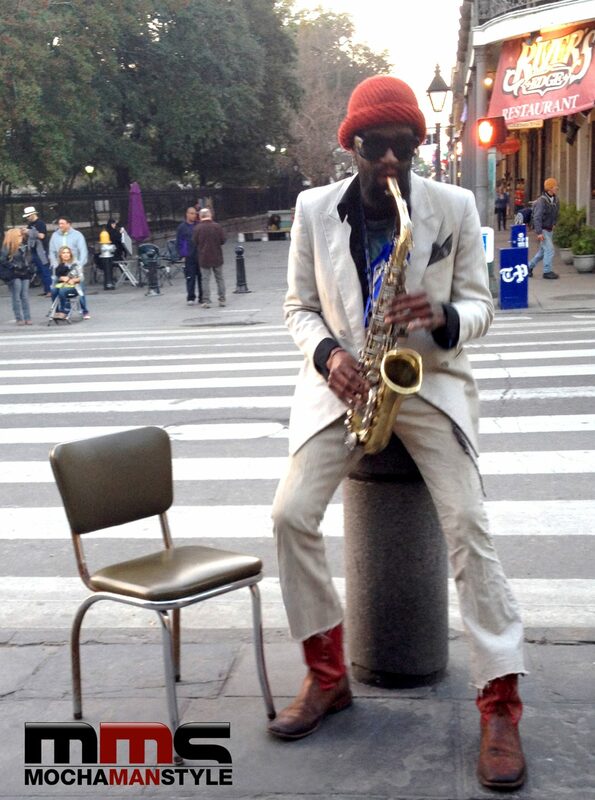 One of the great things about New Orleans is the abundance of talented musicians. Over the next couple of hours, I enjoyed a bevy of street musicians ranging from 5-gallon bucket percussionists to a classical violinist. While watching one of the bands, I noticed a member pick up a bucket and pass it around the crowd as if it were a church collection plate. “Two or three dollars don’t mean much to you,” he said. “But it means the world to us. Please show us some love.” I realized that I’d have to forgo any more cafe au laits in order to support these talented musicians. From then on, I deposited a few dollars into each musician’s tip jar and bought CDs when they were available. 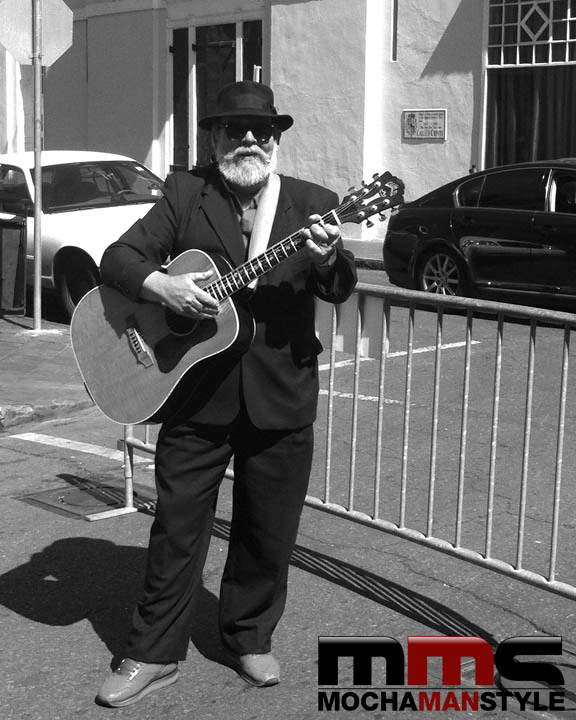 In addition to the music, I was also intrigued by a few of the musician’s personal stories. I spoke to one woman who told me that Hurricane Katrina forced her to flee to Detroit. She tried to make a living by playing a few gigs around town, but nothing really panned out. Besides, she missed her beloved New Orleans too much and returned a few weeks after the storm had passed. Now she spends most days busking in the French Quarter. Although she doesn’t make much money, she is glad to be doing something she loves in her hometown. These are the stories that make me love New Orleans. They are authentic and real and show the magical appeal that keeps residents and tourists wanting more. I spent a few more hours talking to shopkeepers and street artists, before I deciding to drive around the city to explore other areas. I got into the Forte and started driving. I had no idea where I was going, but I was determined to become more familiar with New Orleans. Although New Orleans has recovered from hurricane Katrina, there are still parts of town that still bear the scars of the brutal storm. I saw several abandoned buildings and struggling neighborhoods. But I also saw a community of resilient people who are striving to make New Orleans a better place. I parked the Forte in an empty parking lot next to an abandoned building and walked around front to take a photo. An older man approached me from behind and spoke in a quiet voice. “I’m just taking a picture of this car,” I said. “No, I’m from Houston,” I said. “After some of the things I’ve seen on Bourbon Street, these buildings are an improvement,” I said. He chuckled. “Enjoy your time in New Orleans,” he said. “Nice car, by the way,” he said as he walked away. I nodded my head in agreement.